UPDATE: T-Mobile has confirmed that updates are now rolling out to the Galaxy Note 4 and Galaxy Note Edge. In addition to the November security patches, both phones are receiving domestic data roaming improvements. A couple of weeks after the Galaxy Note 5 received a software update, it’s the Galaxy Note 4’s turn for an update. 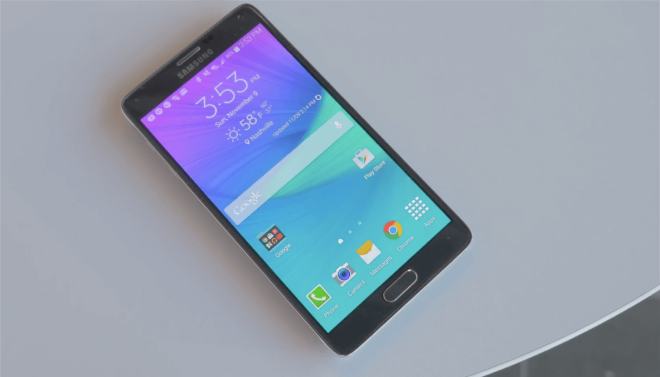 T-Mobile is now pushing an update to Galaxy Note 4 phones that weighs in at 60.38MB in size. 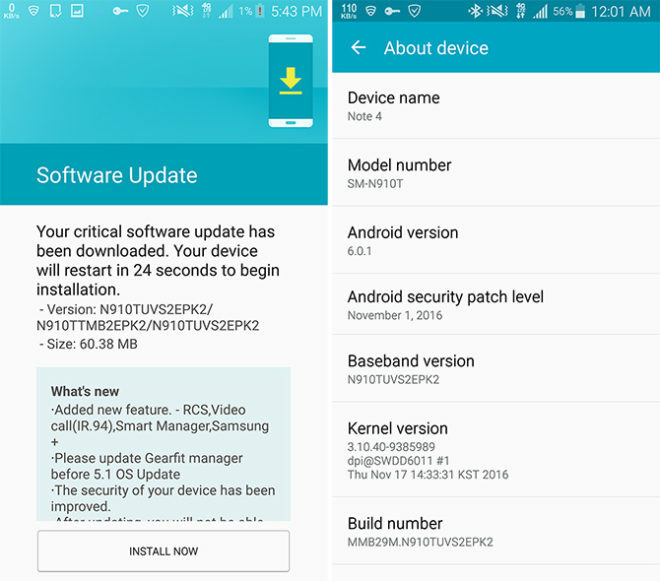 This small update includes the November 1, 2016 Android security patches. T-Mo’s Note 4 support page doesn’t yet include this latest update, so it’s unclear what else could be inside the update. T-Mobile’s Galaxy Note 4 and Note Edge are typically updated in tandem, so it’s possible that the Note Edge is also receiving its November 1, 2016 security patches right now. Again, though, T-Mo’s Note Edge support page hasn’t been updated with info about a new update. If you’ve got a Galaxy Note 4 or Note Edge, been on the lookout for a new update over the coming days. Don’t think we are getting Nougat. Another reason I no longer like Samsung. This is not an old phone. Since Samsung claims to update their two most recent phones in a series, the Note 4 qualifies for the Nougat update. After all, their last two flagship in the Note series is technically the Note5 (RIP NOTE7) and the Note 4. Still have my Note 4, don’t use it that much but still a great device. After update my phone dropping Lte like no tomorrow….